There’s a lot going on in and around NY’s woods during the summers…and it’s not just the caterpillars munching on leaves! There’re a lot of bulldozers and skidders rooting around, and chainsaws making forest products and improving habitat. Some of this timber harvesting is appropriate, but unfortunately, some of it is truly inappropriate. With sawtimber prices at record highs, there’s a lot of pressure to sell! Loggers and sawmills are hungry for timber. That’s the good news! Strong markets make for competition and give landowners some bargaining power. Certainly, now may be the time to capitalize on years of management. A timely sale of trees of appropriate sizes and species, at an appropriate sale price, is the payoff for years of wise planning and management. On the other hand, selling trees that are really just beginning to put on some size and value and/or selling at unfair prices, is short-changing yourself and the future productivity of the woodlot! The bad news is that too many woodland owners don’t know much about sawtimber management, don’t know what prices are fair, and don’t know how to go about arranging a timber sale. A sawtimber sale is a complex business transaction, with a lot on the line. There are financial, ecological, liability, tax, productivity, and aesthetic issues that should be carefully assessed. It’s an interesting phenomenon that the same person who will argue and haggle over $50 on a used car deal, might give away $5,000 worth of sawtimber, seemingly without a second thought! Most people know something about cars and something about making a deal at a used car lot. Most woodland owners however, don’t know much about the timber industry and therefore are unprepared to make a fair or wise deal when selling sawtimber. Woodland owners are advised to contract the services of an independent, professional consultant forester to safeguard their financial and forest stewardship interests. The services are not free, but their fees are well worth the price from the standpoint of “piece of mind” and ultimately in increased revenue generated by wise forest management and competitively bid sales. 1. The NY Master Forest Owner Program. There are over 140 volunteers in 46 NYS counties ready to visit forest owners through this program. These volunteers are your neighbors who are willing to speak with you or visit you regarding most any woodland interest or concern you have. 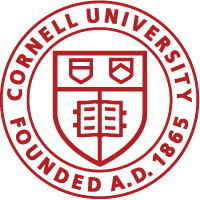 Their years of personal experience is backed by training through Cornell Cooperative Extension to assist other owners in finding the information they need to make wise decisions on their land. Contact your MFO Regional Coordinator to get a name of a volunteer near you. 2. 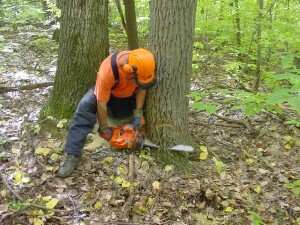 The NYS DEC Cooperative Forest Management Program. A great source of unbiased and professional advice is your regional NYS Dept. of Environmental Conservation Forester. A public service forester can speak or meet with you free of charge. They know their region, both from an ecological and economical perspective. 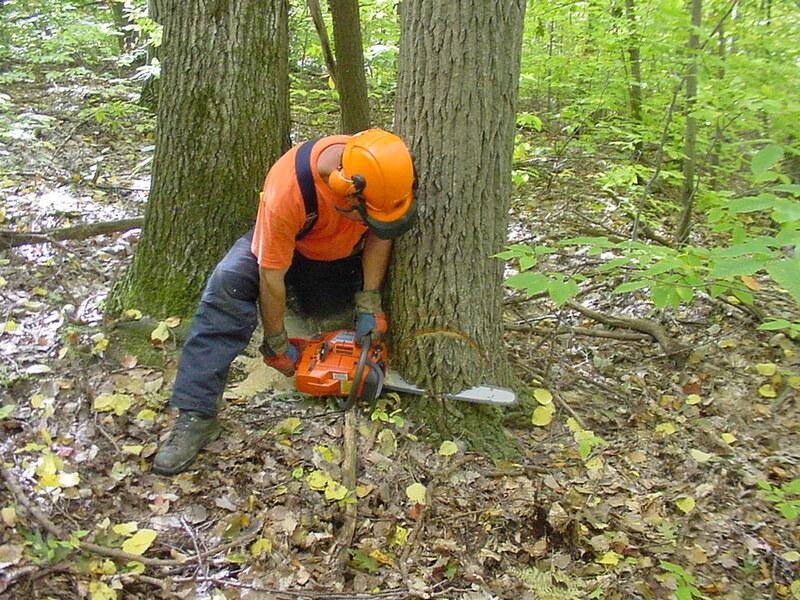 They also have listings of Cooperative Timber Harvesters and Cooperative Consultant Foresters who may be able to provide the technical services you need. Look in the white pages of the phone book under New York State Environmental Conservation…for the number of your regional office.